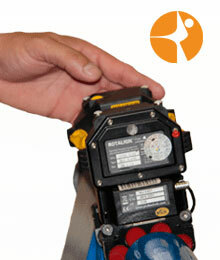 ACQUIP speeds up the process and increases the accuracy of a Reciprocating Compressor Alignment . The cylinder is aligned to the cross head guide through the distance piece. This alignment is performed with a Laser Tracker and is recorded into 3D CAD based inspection software. While the concentricity of the cylinder to the cross head guide is being examined this technology allows the cylindricity of the bore and its perpendicularity in relation to the crank shaft to be checked at the same time. 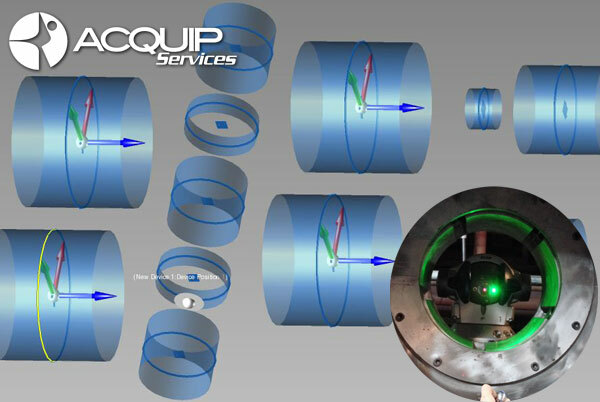 ACQUIP uses a state of the art laser tracking system to complete the internal alignment with precision. The laser tracker is designed to take measurements while it compensates for changes in temperature, air pressure, and humidity with outstanding accuracy. During the measurement process work goes uninterrupted because the laser-based system positions the laser beam in the line of sight, allowing it to be broken at any time without affecting the measurement accuracy. 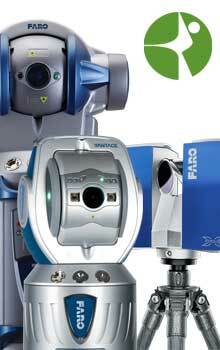 The combination of ACQUIP’s extensive experience with high speed rotating equipment alignment and the innovative laser tracker system will save you hours of work and downtime. 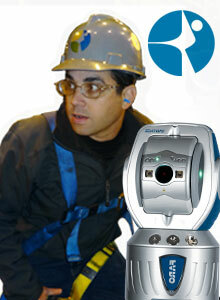 Step 1: The laser tracker is setup and each component is captured into the 3D CAD Inspection software. Step 3: The components are measured again to ensure the moves were performed correctly and the reciprocating compressor alignment is complete.